This Veronica Mars movie sneak peak was released at the recent San Diego Comic Con (SDCC). In case you aren’t aware of the back story, the money for this movie was raised in a Kickstarter project. The funding goal was raised in almost seconds (just a slight exaggeration). The Kickstarter project raised millions beyond its goal. It is one of the biggest fan-driven fund raising events to date and the start of a new trend in how movies get made. Fans will get their movie in 2014. If you missed Veronica Mars when it was a TV series years ago, it’s available via streaming services, and it’s worth watching. She’s a high school girl who helps out in her dad’s detective agency. I know, high school kids – I’m so beyond that – but it’s a good show. I remember the speech Jennifer Beals gave in Break a Leg about how a woman has to be both beautiful and as good as Meryl Streep to make it in the movies. (You can catch the speech at the 8:29 minute mark in this video.) It is generally accepted in American culture that Meryl Streep is the greatest actress since the origin of the human race. We don’t even have to discuss it – we’ve seen her prove it time after time. Moneyball (2011) and Trouble with the Curve (2012) are two baseball stories that are at opposite ends of the spectrum in terms of theme. Yet both are good movies. Since both are out on DVD now, it seemed like a good idea to review them together. The earlier film Moneyball takes the stance that technology can solve any problem, even the problem of who to draft for a baseball team. Moneyball stars Brad Pitt, Jonah Hill and Philip Seymour Hoffman. Jonah Hill plays a geek who uses a computer and stats to decide who a team should draft. Brad Pitt trusts him to know who to pick and the film is about how they convince other people in their organization that using this new technological technique to predict baseball greatness will work. Philip Seymour Hoffman is the coach. 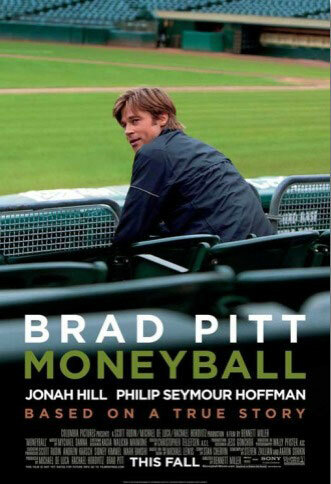 Moneyball is based on a true story about the Oakland Athletics in 2002. Since Oakland proved their point with an amazing team, many other baseball organizations have learned to rely on technology to predict the best picks. You don’t have to like baseball to like Moneyball . It’s a great underdog story and certainly has good actors. It earned 6 Oscar nominations including ones for Brad Pitt and Jonah Hill. I particularly love the geeky part of this film, since I’m pretty much the elder geek of the interwebs. Trouble with the Curve , on the other hand, is the anti-technology baseball story. It comes at draft picks from an experience-can’t-be-beat point of view. Clint Eastwood represents the experience, of course. He’s a talent scout named Gus who is going blind. He can still pick ’em better than any computer based on his years around baseball. 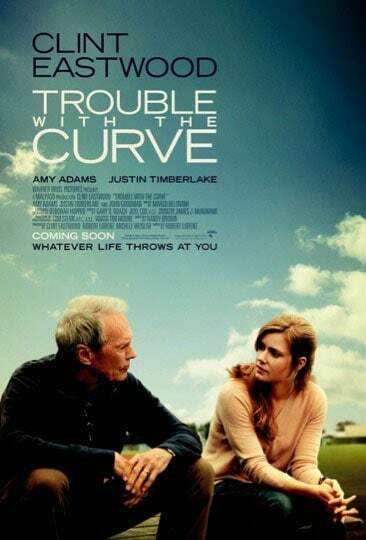 Amy Adams is Eastwood’s daughter in this film. She brings the theme of father-daughter relationships into the story, which gives both Eastwood and Adams some nice opportunities to dig in and show their chops. Justin Timberlake plays another talent scout. Amy Adams. Justin Timberlake. You know what happens when boy meets girl. That. Adams and Timberlake are particularly effective at telling this ages-old tale in the condensed form it takes when mixed into the larger story about Gus and his draft picks. Two stories in one, it’s a bargain. The final important character is John Goodman, who is a lifelong friend of Gus’s and is backing him in his picks against the guys who want to do it with technology. There are a few interesting plot twists along the way, especially involving Amy Adams character, but I’ll let you enjoy them as they are revealed in the movie. I will share one spoiler. Amy Adams sings in this movie – and not very well. For a fabulous singer, she must have really had to work at sounding like a normal person singing. Have you seen either of these baseball stories? What did you think of them? Gillian Anderson and Jamie Dornan in “The Fall.” Image via BBC Two. I’m a mystery fan. Aside from the highbrow stuff I read for my book clubs, I almost always pick a mystery for my personal reading. Watching The Fall is like reading a good mystery. The Fall is a BBC Two production, available on Netflix. It was first broadcast on BBC Two in May of 2013. The two leading characters are played by Gillian Anderson from The X Files and Jamie Dornan from Fifty Shades of Grey . 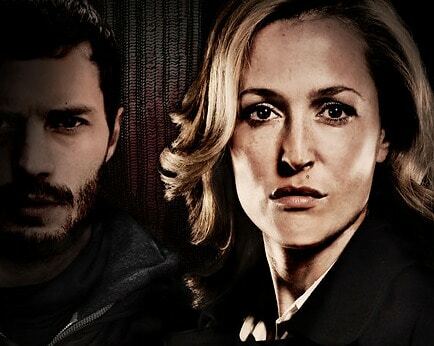 Anderson is Stella Gibson, a police detective on the hunt for Dornan as serial killer Paul Spector. Here’s the BBC Two trailer. It’s a large cast with a number of excellent actors, including Archie Panjabi who plays a motorcycle riding medical examiner. 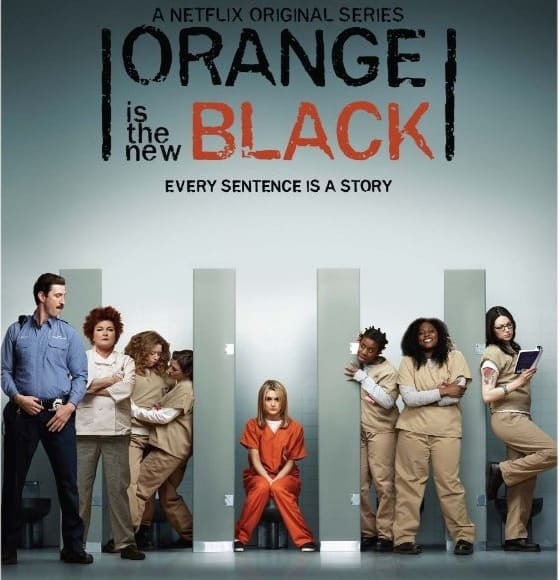 Season 1 has 5 episodes. We know who the killer is from the beginning, but Gibson only gets a glimpse into who it is by the end of episode 5. Season 2 is coming in 2014. Pacing is the key to this series and the reason it feels like reading a good book as much as it does like watching a TV show. Everything is revealed in meticulous unhurried detail. The killer’s hunt for prey, his crimes, his attention to detail and his slow slide into carelessness as the pressure builds while the police come closer are all given to us in logical slivers and slices. Jamie Dornan is superb as a loving dad who is hides his killing from his family and co-workers. He comes off as a completely nice guy who is absolutely beyond suspicion to those who think they know him. Netflix released this trailer for the series. Gillian Anderson stuns as a Detective Superintendent who gives orders to a whole raft of men of lesser rank. She plays her part with stoic brilliance. Occasional glimpses into her thinking or emotions both reveal and conceal. She’s strong and wields her power quietly but emphatically. If Gibson catches Spector in season 2, I hope there will be additional killers for this Detective to hunt, because Stella Gibson is a strong character, and Anderson makes the most of her. I want more. The detective and the killer are of very similar minds. They think in the same way, they problem solve in the same way. They are both smart and intuitive. The only difference is that they take these qualities in themselves and use them in different ways – one character for good, the other for evil. In the Netflix trailer above, we see Gibson staring into space as she quietly and brilliantly gets inside the mind of the killer and paints a profile of his needs. We see the psychological similarities between cop and murderer as the story of the hunt for victims and the hunt for the killer unfold side by side in parallel sequences and mirrored actions. I love the way this story is told. It makes you ponder the thin line between good and evil. Gillian Anderson is in her 40s now and more beautiful than ever. As Stella Gibson, she dresses in gorgeous suits and attractive silk blouses. Detective Gibson isn’t above unbuttoning the blouse a bit to attract attention if it will help her solve the crime. You can enjoy The Fall just for the gorgeous, even if you don’t like mystery stories. Have you seen The Fall ? What did you think of it.